What according to you is the greatest workplace irony? And by workplace it means all organizations on earth, irrespective of their turnovers? Perhaps, most of the working professionals will agree if I say that this irony is nothing other than stress at work. I will explain how. Employees want their workers to work harder each day. Employees as well strive to get better and accomplish assigned tasks. However, why do we endure so much? Of course to earn for both professional and personal well being. We work hard to earn more and in the process get stressed out to work less and thereby earn lesser. Isn’t that an irony? Indeed it is. 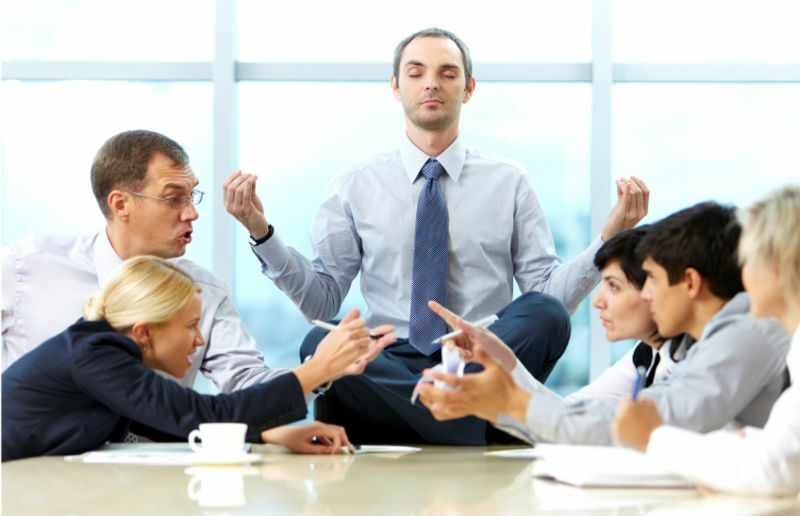 Reports show that every 8 out of 10 American professionals are suffering from workplace stress. The reasons however do vary. Now, when we say that almost 80 percent employees are suffering from workplace stress, it indicates that the American economy is loosing these 80 percent potential resources that can make drastic and powerful changes. Isn’t it so devastating? I am sure you are stressed again after reading this, aren’t you? 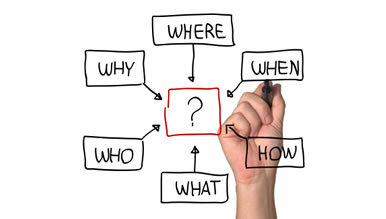 Therefore, to conquer any stressful situation, we need to identify its root causes and work to overcome the same. Workplace stress can be handled only when we realize the reasons that are leading to such situations. Mentioned below are some of the probable reasons that cause workplace stress. This data has been compiled after analyzing various reports on the subject. Let alone incentives, a simple word of appreciation can drive out the last bit of energy from within you. And at the end, you are left with two empty hands. However, you are not someone who quits easily and therefore try even more to reach those heights of success. And this somehow builds up frustration, disappointments and regrets that lead to stress. It is very unfortunate that out of various causes behind workplace stress; workplace bullying occupies a significant portion. Many professionals quit careers as they find no means to tackle such superiors at work. These bullies find out ways of disrespecting their subordinates and burdening them with extra work. Professionals do not find ways to handle such workplace bully and get so stressed out that they decide to quit their lucrative careers. SAD! Who does not look for rapid career growth? We are all in a rush to rise high up on the corporate ladder. And in a situation where you are required to spend years handling the same profile – having no monetary benefits or advanced learning experience, you find your entire career to be meaningless. This causes stress and a feeling of failure. Well, in addition to these, there can be various other reasons as well. Whatsoever may be the situation, tackling such conditions is much simpler than what it is presumed to be. 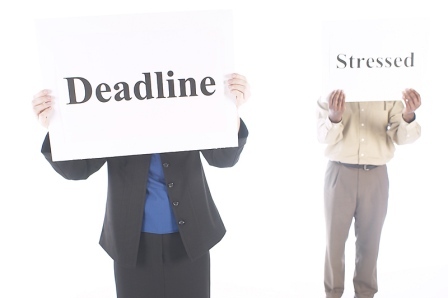 Here are some tips that can help you reduce or nullify reasons that cause stress at workplace. Why to get bogged down if you could not make it this time. If your boss is still happy with your colleagues and finds your contribution less significant – let it be. Pat your own back on small achievements you made. This will keep you motivated and perhaps sooner or later you will win those much awaited praises as well. Well, if you fail to do this, then you are marching on a track opposite to the success you desire to achieve. You get demoralized and loose interest in your work. When you do not enjoy your work, it feels as a burden on your shoulder and it is now that you get stressed out. Stress at work causes various physical and mental discomforts. Conversely, poor eating habits that pose health hazards may also lead to serious disorders. Untimely eating habits, lack of sleep and exercise or unhealthy habits of addiction, cause our body and mind to get fatigued very easily. You lack concentration at work that leads to committing undesirable mistakes. You also lack your normal pace at performing job tasks, thus leading to pile of work. And one fine day you end up with too much stress at work. Therefore, maintaining good life style with proper diet, sleep and exercise is mandatory to achieve a stress free work life. Now, some things are out of our control and therefore we need to seek help from others. This solution specially talks about solving the prime factor of workplace stress, that is workplace bullying as mentioned above. It is the duty of all employers to maintain a group of professionals who work to solve corporate relationship problems faced by employees. This includes sorting out tiff between coworkers or issues faced by employees who are ill treated by superiors. The most important aspect of this is that workers need to feel confident at sorting out issues that are disturbing their work life balance. Further, these professionals also need to be efficient at bringing out quick solutions to all existing problems. And at the end of the day, corporate relationship problems are unique and you need unique ways of eliminating such issues. However, to assist you with workplace harassment, here are some tips that can help to fight workplace bullying upto a great extent. One solution to all worries. If you know how to plan your work and stick to the schedule. you definitely have no worries to feel stressed. Just when you get your assignment, check your deadline. Before you get down with your work, write your action plan. Just open a folder on your computer where you divide your given work into small achievable day to day targets. And here do not compromise with breaks and relaxing scopes. Try to set strategies that can help you to achieve your target within deadlines. However do not panic or rush, if you missed your small target the first day, this leads to greater mess and delay. Remember, you have tomorrow and tomorrow never dies. However, it is important that you know your own skills and set personal targets accordingly. If you set too high standards, you may stumble upon and fall down. Stress at workplace is a common scenario in modern day job culture. We cannot escape or eliminate it completely; however, you can work to reduce it significantly. These were few techniques that can effectively reduce stress at work. In addition to these you can also deduce your own techniques that can aim to sort out such problems. Next Next post: How to Cancel a Resignation Letter?